If you are tired of throw-away paring knives, our Trillium is for you. Read more. 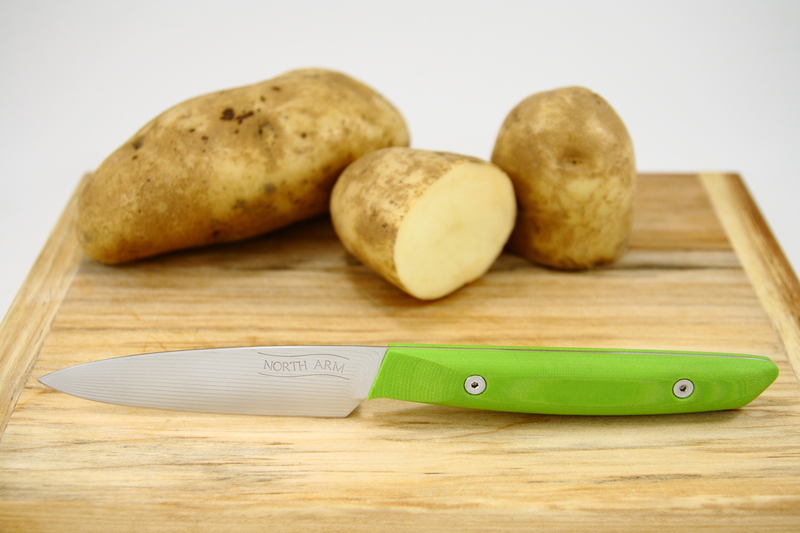 The Trillium paring knife is designed for detailed in-hand work and board-cutting of smaller items. The bite of its S35VN steel will impress you right out of the shipping box and it will hold its edge much better than the vast majority of factory made knives. Well maintained, it can last a lifetime. 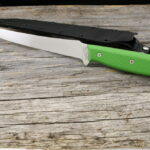 The Trillium’s standard G10 handle material is waterproof and practically indestructible. This knife is also available with an optional carbon fiber composite handle, which, besides looking cool is also strong and waterproof, and a little bit lighter than G10. We also periodically offer optional west coast wood handles if you prefer a unique natural look. The Trillium takes its name from a BC-native white-flowered forest plant that may take 15 years to bloom. We back all of our knives with a warranty and satisfaction guarantee! this is the brief info sheet we include in the box with the Trillium. Got a Trillium paring knife for Christmas and what a great knife! 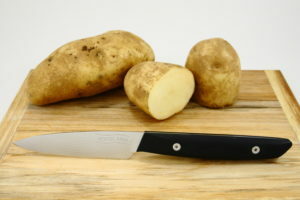 Took me a few potatoes to get used to the weight of this knife, and now my other paring knives feel light and cheap. This knife occupies a special spot on a shelf in my kitchen, no way its going in the drawer with the rest 🙂 Only improvement I can think of is I would put a smooth finish on the blade to make it glide easier through the more dense root vegetables, (as my Lynx has), but overall a great knife! Great paring knife. Handles well and stays wicked sharp for a long time. 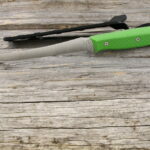 Gift for my wife so I could buy a Skaha without complaints…. Beautiful little pairing knife and slicer. Got the green handle. Bought it for my wife’s birthday Feb 2018 and she loves it. The right tool in the kitchen. Thank you North Arm! I bought one of these knives probably three years ago now. 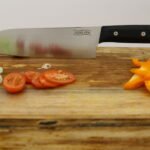 I initially liked the look of the knife and after using it for a few years now, I have really come to love the quality of the design and materials used. 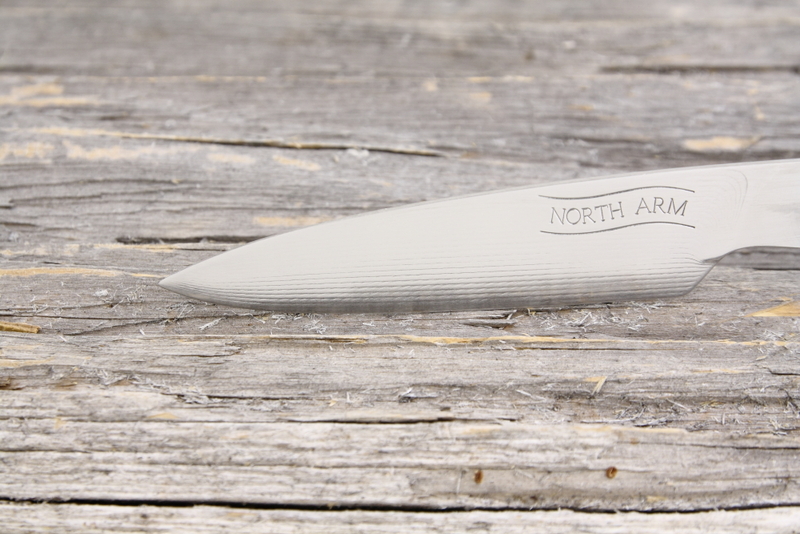 You will not find a better knife for the price anywhere, and they are made in BC on top of that. I can’t recommend this knife, or this company enough! A fantastic little paring knife. Very comfortable to hold and the perfect size for peeling and paring. I haven’t had my hand cramp once while holding this. This holds a razor’s edge for an absurdly long time. I find myself looking forward to peeling potatoes and working all those tiny jobs that require dexterity. 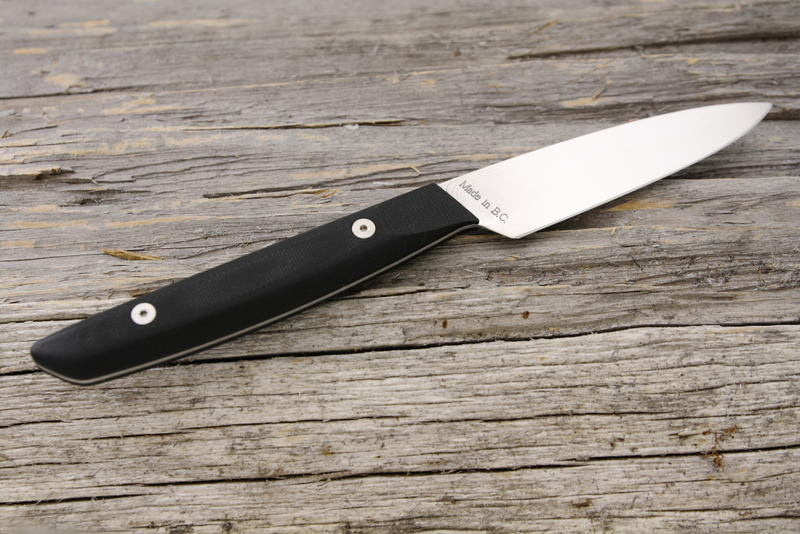 This knife makes for fantastic performance in a small package. 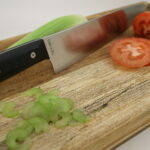 I went with the cnc finish and red G-10 and the superb design of the knife and materials make for an amazing rock solid slicer in the kitchen. Amazing deal if you’re in the U.S. due to the exchange rate (as of July 2016). 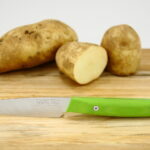 If you haven’t tried this little paring knife,I’d encourage you to do so. It quickly replaced my expensive Shun paring knife and becomes to my favourite little knife in my house. The quality of the knife is great and the design is brilliant. Instead of giving out as a gift, I’ve decided to keep it for myself.